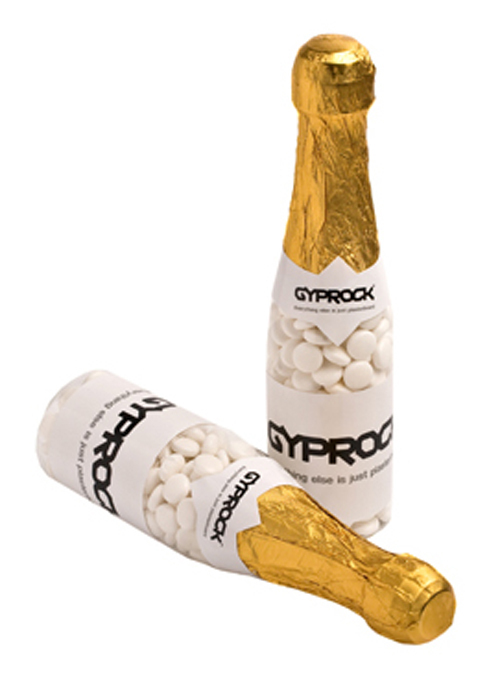 Plastic Champagne bottle filled with 220g of your choice of confectionery – mints, jellybeans, choc beans or M&M’s! Below pricing includes full colour sticker on neck and bottle, as pictured. *Pricing includes full colour sticker on neck and bottle, as pictured. Also available with sticker on neck only, please contact us for pricing.